Whatcha gonna do with all that grace? Keep us, O God, in your steadfast faith and love, that through your grace we may proclaim your truth with boldness. This is not the natural world Jesus inhabited when he offered this morning’s parables about the person scattering seed, and about the mustard seed. I’ve never visited the Holy Land, but I think all of Oregon is holy land. From what I’ve seen in pictures, the trails that Jesus and his disciples walked could just as well be in the John Day Fossil Beds, or in Tygh Valley. Think high desert. If you’ve ever driven to Bend, along Highway 26 through the Warm Springs reservation, imagine Jesus talking about planting and growing on those dry hills. Imagine standing on one of those slopes, maybe near a river winding down below, and scattering a handful of seed. That would be an act of faith. Have you ever done something like that? Acted with that kind of faith? Luckily for us, this is not the question Jesus asks in this parable. This is not the point. The point is not the successful sower of the seed, but the grace that happens while the sower is asleep. The kingdom of God operates differently from life as we know it. This may seem like bad news for us who are over-achievers or control freaks. This challenges the notion that we get what we want only by working hard for it. There’s been a lot of discussion in my household the past year or so about the value of hard work, the importance of setting a goal, no matter how ambitious, and working hard for it every day. These are values my husband and I hold dear, values we were raised with. What does this description of how the kingdom comes say about that? I think most humans are wired to get personal satisfaction out of completing a task, or a job well done, whether it’s a work project, a child’s birthday party, a garden, or something much bigger. Hard work, getting things done is what makes the world go ‘round, right? But the economy of God is not the economy of the world. The reign of God is that place where the person who works for one hour gets the same pay as the person who works for eight hours. The same kingdom as the one where someone scatters seed, falls asleep, and there it is: sprout, stalk, a heedful of grain, and all. The kingdom of God is an economy of grace. Both of the images in today’s gospel show us the infinitude of God: the reign of God includes that which can be measured—a handful of seed, a single mustard seed the size of a pencil dot—and that which cannot be measured—a harvest of grain or a mustard shrub big enough to hold all the birds of the air. This passage should settle any lingering question in our mind as to whether, when Jesus speaks about the Kingdom, he is talking about the present time and space or the afterlife we only get to when we die, if we’ve been good. The kingdom of God has come very near to us. The kingdom of God is an earthy, immediate abundance all around us for the scattering and the harvesting. Someone once said to me: you can count how many seeds are in an apple, but you cannot count how many apples are in a seed. 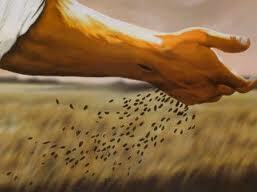 Our job as proclaimers of the Good News of the kingdom is simply to scatter the seeds. We don’t know what will happen to the seeds we scatter, and we can’t make it happen. It’s an imperfect analogy, of course, but I always think of this as scattering seeds. We do our job and God does God’s job. How do we know when we’re successful? How do we measure the kingdom of God? Is there a “kingdom version” of average Sunday attendance? Is there a “kingdom-sized” paid staff that says we’ve arrived? Is there a specific kingdom budget we should be shooting for? How does all of that square with what this parable of the seed says about the kingdom? The reign of God includes that which can be measured and that which cannot be measured. What are we going to do with all this grace? All this abundance? That’s for you to answer. The essential message of the gospel is this: The reign of God has come near to you. Repent and believe the Good News. Change your mind. Turn around. Turn around and look at God’s abundance springing up all around you. Share it. Take people to dinner. Or brunch. Or coffee. And rest in the kingdom of God. We may smile at that, but many of us have those little shadows of doubt or fear in the backs of our minds –Maybe-God’s-Finally-Disgusted-With-Me; I’ll-Never-Be-Good-Enough-for-Heaven. 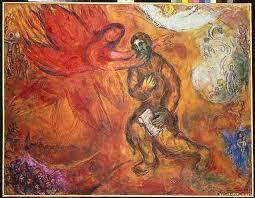 In fact, I’ve known some dear souls who’ve really been imprisoned by the fear of having permanently lost God’s love. There are, unfortunately, some religious teachings that seem to focus on dividing other people’s behavior into either Acceptable or Sinfully Wrong. Those teachers may be motivated by a genuine zeal to follow God as best they can. But I believe with all my heart that condemnation is not God’s message to us. As our Gospel today tells us, God is full of forgiveness. Now, maybe you’re like me, and when you first heard the Gospel read just now, you didn’t hear the forgiveness; maybe you only heard the “eternal sin” part, the part about blasphemy against the Holy Spirit. But the more I study this passage, the more I hear a bigger message. So let’s take another look; there’s a lot going on in this Gospel. Mark is only in the third chapter of his account and already Jesus has been baptized and is out and about healing and preaching and bumping heads with the spiritual “experts,” and casting out demons and evil spirits – and whether that means mental illness or physical ailments or some combination, I’m not sure, but they were terrible burdens and Jesus’ work in freeing people from them was amazing. By this point in the story, he’s also gathered twelve disciples and given them authority so they can cast out demons, too. And the crowds just keep on coming. Everywhere Jesus goes, you can see how powerful his love is, by the people who flock to him, follow him, crowd around him, try to touch him, call out to him, climb trees, cut holes in the rooftops – whatever they need to get closer. In today’s story, there are so many of them that nobody could even eat, and Jesus’ family and friends are starting to get worried. Is he going to be trampled and overrun? Is he going to cause a riot and get them all in trouble with the authorities? How did their big brother suddenly turn into this God-filled miracle worker? Who is he and is everything in the world turning upside down? So, since what we humans like to do is to control situations, they set out to get to him and calm things down. But some other folks are also looking for Jesus, with not quite the same motivation. The religious authorities are finding that “their people” are off following Jesus instead of being obedient to the religious hierarchy; and, like many authorities, they’re not happy with this turn of events. You know, when the Twitterverse gets filled with somebody else’s story, you need to act fast. So they whip up a rather familiar-sounding campaign of disinformation: Just why IS Jesus so familiar with those evil spirits, huh? He isn’t out to heal people, he’s in league with the devil himself. It’s a cunning argument. Jesus starts to respond by offering some logic – I can’t be Satan and also cast out Satan at the same time – but I think we can anticipate that logic isn’t going to work with these guys. They have their stories and they know if they keep repeating them, people will start believing it. So Jesus gets serious. If they so far misunderstand the holy as to call it evil, they are separating themselves from God. But wait, I skipped something. He doesn’t start out with the logical argument. The very first thing Jesus says – even to those self-satisfied, arrogant, up-to-no-good scribes – is this: “people will be forgiven for their sins and whatever blasphemies they utter.” Before he even explains what they’re doing wrong, he proclaims God’s forgiveness. Jesus completes his message of forgiveness by making sure we know how precious we are to him. His mother and his brothers show up and they send a message in to him, expecting that he’ll listen to his family, take a little break on the preaching and the rabble-rousing for their sake. Remember, especially in that culture, what your family asks of you is paramount. But Jesus says something amazing: Here is my family. These people, their hearts open to God, are as close to me as my mother, my sisters, my brothers. His biological family isn’t excluded, but he’s expanding his family exponentially. You and I are Jesus’ sisters and brothers; we all got promoted to family! Not bystanders, not casual readers of an interesting story: family. Forgiven family who are given the gift of the Holy Spirit, keeping us permanently connected with God’s grace. And, we’re family members whose precious privilege is to make the entire family grow and become stronger. We don’t need to try to do that by making rules of conduct and deciding who’s in and who’s out. We don’t do it by deciding which behaviors we’re going to disallow. We do it by opening our hearts to the Sacred, and seeking that holy presence in each other, letting go of our judgments and truly welcoming one another. We grow as family by welcoming others in this building and at our table. We grow by spending more time with each other – sharing a meal, working on a task together, taking time to learn more about each other. We grow by walking alongside folks who are having a hard time, grieving with those who grieve, and by celebrating with those who rejoice. We grow, always, by seeking out and truly listening to one another’s precious stories – because every one of those stories offers another glimpse of God’s grace. When I was in seminary, I had a legendary church history professor who liked to act out memorable moments in church history. If I had time, I’d act them out for you, but it wouldn’t be the same. The Trinity is as vast and as incomprehensible as God. It is indeed a holy mystery. We do not grasp it; it grasps us. Another way of saying this is that the trinity does not so much explain the nature of God as it explains our relationship with God. We get a window into this holy mystery of our relationship with God in today’s reading from Isaiah. This is a lovely passage that resonates with many of us. Technically, it is what is known as a “call narrative,” that is, a story about someone experiencing a call from God. It’s got all the elements: something exotic (think: burning bush), resistance on the part of the one being called, a sign from God affirming the call, and, finally, a positive response from the one being called. Here I am, send me! The setting for this scene is a detailed vision that Isaiah has, a vision that takes place in the temple. In other words, he encounters God in worship. A piece of that encounter is a moment—or several moments—of clarity about God’s call. Such things are mysterious as the Holy Trinity, and as difficult to put into words. I have tried, from time to time, to write about the moments when I have had a dramatic awareness of God’s presence and God’s call. One of those moments was in the chapel of the church I attended in the 1980s. It was a mid-week Eucharist, at 5:30 on a Thursday evening, and it was about a hundred and five degrees. The priest celebrated the Eucharist with his back to the handful of us in that hot space. He was wearing vestments—chasuble and all. We all had sweat pouring down our faces, fanning ourselves with our prayer books (no mean feat!). In that space I felt God’s presence in a way that was as palpable as it was mysterious. Maybe it was the heat. But bundled into that experience were all the pieces of Isaiah’s story: a sense of my own brokenness—woe is me, for I am a woman of unclean lips! Suddenly I had an awareness of God’s cleansing, healing power—in my case that came with the Eucharist—and an invitation to let go of my own sinfulness and get on with the business of figuring out what God would have me do. I heard a story just the other night that is so much like the story we heard from Isaiah this morning that I want you all to hear it. And the treat is that you get to hear it from the source…. Back to the Trinity, just for a moment. Isaiah hears angels singing Holy, Holy, Holy. As will we, in a little while. This witnesses to God’s mysterious multiplicity, not in the sense of being three Gods, but in the mystery of God in three persons. This three-person God is silent for much of the encounter we hear about from Isaiah. 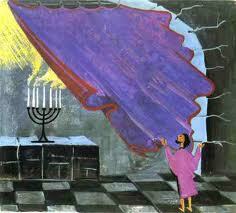 Near the end, however, Isaiah hears the voice of the Holy One: Whom shall I send, and who will go for us? Who will go for us? The God who calls each one of us is both an “I” and a “we.” As are we each both an “I” and a “we,” in the communities to which God calls each one of us. We talk a lot about God’s call. It’s helpful to remember that first and foremost, God’s call is a call into relationship. Ken Leech has written that the meeting of the Trinity is that “in God there is social life, community sharing. To share in God is to share in that community.” Maybe a good way to think of the church is as God’s social life. Again, the Trinity is as vast and as incomprehensible as God. We do not grasp it; it grasps us. What we don’t read about this morning is that after Isaiah says “Here am I; send me!” he gets into a whole lot of trouble. That’s what happens more often than not, when we encounter and respond to God’s call. (Remember that, JT!) But I pray that each of us may always know, inwardly in our souls and outwardly in our bodies and in our social selves, that our mysterious, ungraspable, unfathomable God, creator, redeemer, and sustainer, earth-maker, pain-bearer, and life-giver, the one who made us, who loves us, and who travels with us, Father, Son, and Holy Spirit—I pray that our triune God is both with us and in us and all around us as we live into the mystery of God’s holy invitation.